Donate to 123 Puppet Place and other projects. 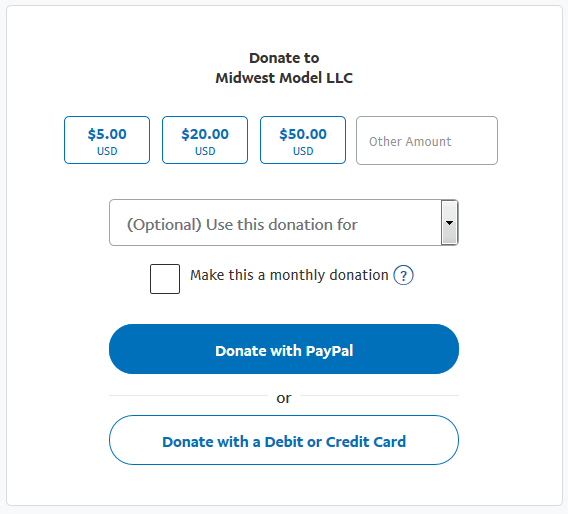 Click on the DONATE button to be taken to a Paypal page to choose which project to donate to. Donating helps us pay for projects for children and adults. All donors receive a free digital copy of Real Beauty Magazine in PDF format if they choose. We will also add you to our secret Projects and Jobs Facebook group if you so desire. Midwest Model Agency provides it's services to talent free of charge including film and photos. Donating to these projects helps us offset the costs associated with these productions, which are designed to promote the talent. No other agency in the USA provides free photography and video production for it's talent. It's what sets us apart.